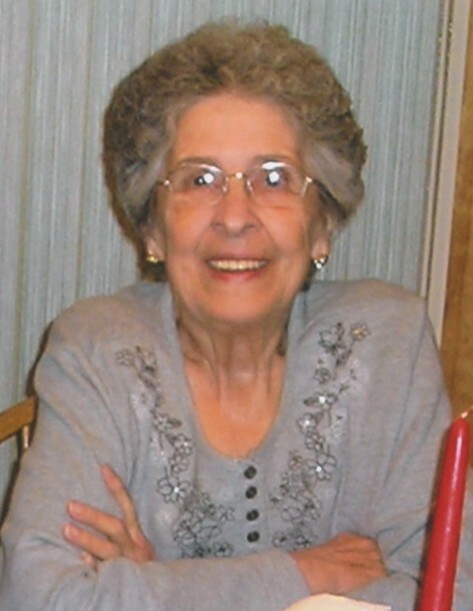 Obituary for Evelyn Tierney | Compassionate Funeral Care Inc.
SCHUYLERVILLE - Evelyn Tierney, age 84, of Schuylerville, NY passed away on Monday, March 25, 2019 at Albany Medical Center surrounded by her loving family. She was born on February 26, 1935 in Peekskill, New York to the late Charles Nichols and Ida Conklin Nichols. Evelyn worked for the Hyde Park School District from 1970 – 1985 and for the Saratoga Springs School District from 1986 until she retired in 1997. Evelyn was the owner of Standard-Bred horses with her trainer husband Joe for many years, at Saratoga Raceway. She enjoyed traveling to different States and over sea’s while her son Brian served our country in the US Army. Evelyn will be remembered for her unconditional love for her family and friends. She took pride and devoted her life to raising her five children and watching her grandchildren and great-grandchildren grow up. Evelyn is survived by her daughters, Karen Lehan (John Herrick) of Saratoga Springs, NY; Lisa (Nash) Ghali of Myrtle Beach, SC; sons; Michael Tierney (Valerie Casadone) of Pleasant Valley; NY; Brian (Jill) Tierney of Hyde Park, NY; Joseph (Debbie) Tierney of Rhinebeck, NY; twelve grand-children and fifteen great grand-children. She is preceded in death by her husband of 59 years Joseph Tierney, brothers, Kenneth, Charles, Ralph, Leonard; sisters, Barbara, Carolyn and daughter-in-law Sarah Skinner Tierney. Family and Friends can call from 1:00 pm to 2:45 pm on Sunday, prior to the service at the funeral home. A funeral service will be held at 3 pm on Sunday, March 31, 2019 at Compassionate Funeral Care, 402 Maple Ave., Saratoga Springs, NY. Interment will be in the spring at St Mary’s Cemetery, 115 Cemetery Rd, Schuylerville, NY 12871. In lieu of flowers contributions in Evelyn’s memory can be made to Saratoga Bridges, NYSARC Inc., 16 Saratoga Bridges Blvd., Ballston Spa, NY 12020, www.saratogabridges.org. or the American Cancer Society. Following the service, the family invites you to join them for further fellowship at the Saratoga-Wilton Elks Lodge, 1 Elks Ln, Saratoga Springs, NY.